Home | Our Team | Reyna R. Ortiz, R.N. Reyna R. Ortiz, RN is CVAM’s RN Director of Clinical Services. 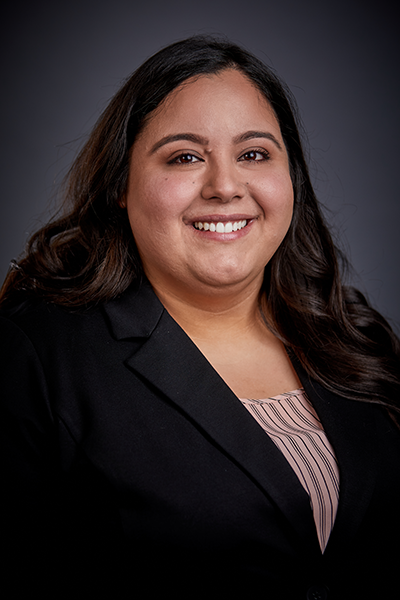 Having seen firsthand the challenges her grandmother experienced when trying to navigate through the health-care system, Reyna committed herself to a career as a patient advocate. Reyna “does everything with heart” to achieve the best outcomes possible for her patients. Reyna gained experience as a Medical Assistant while simultaneously pursuing her nursing degree at Phoenix College. She graduated May 2016 and began practicing as a Registered Nurse. Her commitment to our patients and our staff resulted in her promotion to RN Clinical Manager and, then, RN Director of Clinical Services. September 2018 marks her eight-year anniversary with CVAM. Reyna enjoys teaching new skills and providing her team with the tools they need to be self-sufficient. She takes pride in their professional growth and development. As a volunteer at Dr. Ambrosia’s Heart of Medicine Clinic, she is able to help patients who would otherwise not have access to cardiovascular care. During her time off, Reyna looks forward to family time. As native Arizonians, she and her family enjoyed their first experience with snow during a recent vacation to Washington.